An intriguing and gripping murder story with a baffling and engrossing plot. One year after a series of brutal and bloody murders shocked the town of Greenrock, Detectives Tony Fisher and Dorothy Shank must again pit their wits against a cruel and efficient killer. A wonderful, tropical setting, realistic characters with very real problems, and graphic descriptive content will have you, the reader, right there with victims and murderer alike, all with the added pleasure of trying to solve the identity and motives of the callous, hidden killer. Shocking, stunning and yet undeniably enjoyable, the killer and motive make Just Me captivating reading. And all done with a clear and easily understandable message about the forgiveness and love of God, wonderful options that are open to killer and victim alike. 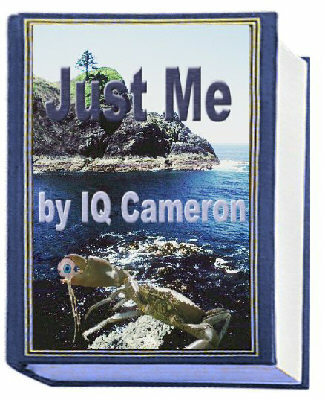 Just Me is the thrilling and baffling sequel to the stunning murder story, Fair Game, and like its predecessor, it is loaded with thrills, suspense and murder, and an amazing, yet twisted outcome. If you enjoy murder stories with suspense and surprises, you’ll really enjoy the warped and spiteful motives of this callous killer. Moreover, if you’re looking for a simple example of God’s desire to deal mercifully with us all, this may help. One year on since Detectives Tony Fisher and Dorothy Shank gunned down a young cop for the murders of numerous models, bodies are accumulating again. Worst of all, this killer, just like the previous one, leaves no clues. And there seems to be no real thread to connect all the victims. But of course, there is... and you, the reader, have the opportunity to work it out. Only the very astute will guess what’s happening here, and one has to wonder, who in the story will survive… Will anyone be saved? Will anyone find peace? Take the plunge and see if you can work it all out before it’s too late. The murderer is on the move… Let your mind be moving too! Guaranteed satisfaction! Guaranteed detective-skill fun! And guaranteed twists! "Smile for me..." The voice was insistent... “Careful, my girl. Careful,” came a casual reply. She gave token resistance as her hands continued to be stroked, and then slowly coaxed behind her, and only when she heard the crisp snapping sound of a plastic zip-tie clasping her wrists tightly together did she attempt to protest. Sadly, though, clarity came far too late… The plastic bag sucked to her face like shrink-wrap. “You can’t be serious!” ??? snorted. With dazed eyes [she] looked up... Another series of long, shrill gasps followed, and then ??? began to claw her way forward as though she might escape her callous, murdering guest. Purchase the unexpected conclusion to Just Me.